One of the great things about being involved in the Greater Raleigh Court Civic League is the random surprises that pop up. Take this morning, for example; I was forwarded an e-mail from one of Roanoke’s finest, Officer Jimmy Goad. Turns out one of Officer Goad’s assignments is Woodrow Wilson Middle School. 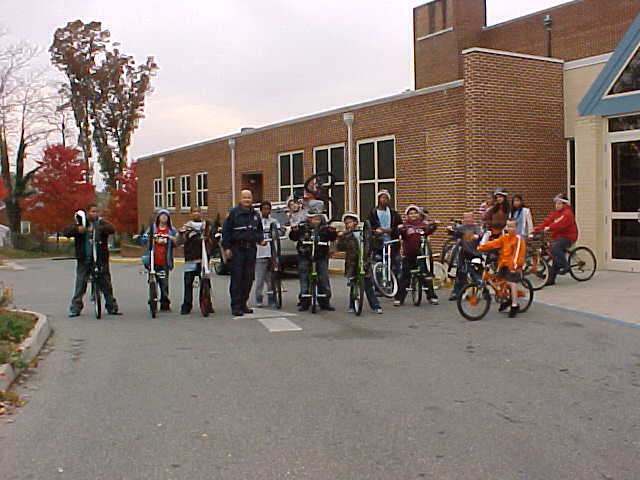 He leads a bicycle club of WWMS students, which is a cool thing by itself. But they also do community services projects around the neighborhood, and they’re always looking for new ways to build community. If you have an idea for a service project, please contact him at Jimmy.Goad@roanokeva.gov. They’ve done cleanups and trash pick-ups, and mentioned they’d be available for a project involving an elderly or disabled homeowner in the neighborhood. Now that’s community! Thanks, Officer Goad! This entry was posted on Wednesday, September 29th, 2010 at 1:28 pm and is filed under Uncategorized. You can follow any responses to this entry through the RSS 2.0 feed. You can leave a response, or trackback from your own site.